Cardiovascular and Thoracic Surgeons of Ventura County welcomes Dr. Yousef Odeh to our practice! 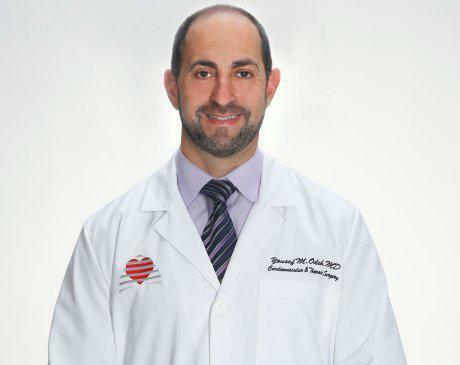 Dr. Yousef Odeh is board certified in Thoracic Surgery and performs all aspects of adult cardiac and general thoracic surgery providing services at St. John’s Regional Medical Center and St. John’s Pleasant Valley Hospital. Dr. Odeh’s practice focuses on minimally invasive techniques including valve surgeries. Outside of work he has a passion for snowboarding and motorcycles. He also is fluent in Arabic. We are very excited to have Dr. Odeh join our team to provide excellent patient focused care. Dr. Odeh is now accepting new patients.